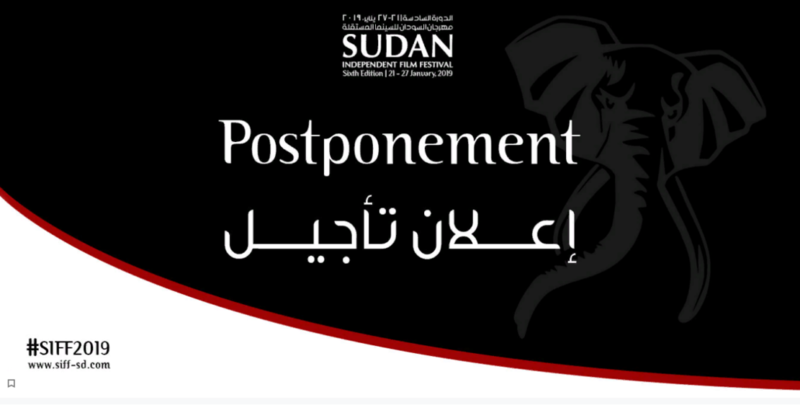 The Sudan Independent Film Festival announced the postponement of its sixth edition, which was due to take place between January 21 and 27, due to the political events taking place in the cities of Sudan. Organizers intend to hold the festival immediately once the situation changes in the capital Khartoum. The festival’s statement was as follows: “Dear friends, the audience of the Sudan Independent Film Festival. We have decided to hold the sixth edition of the Festival, to fulfil our annual commitment and loyalty to the values ​​represented by cinema. The values ​​of resistance, enlightenment, criticism, expression and beauty. In the framework of our interest in the integration of all roles in society.